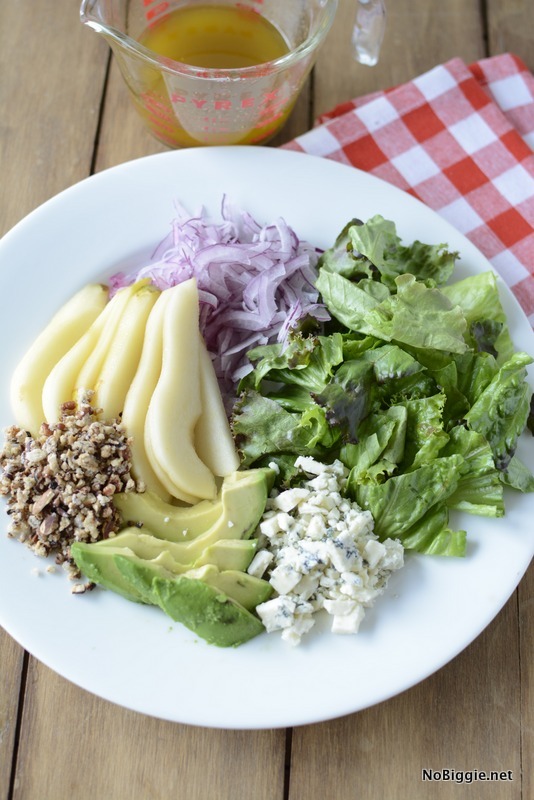 Gorgonzola Pear Salad with Candied Pecans – we LOVE this salad. 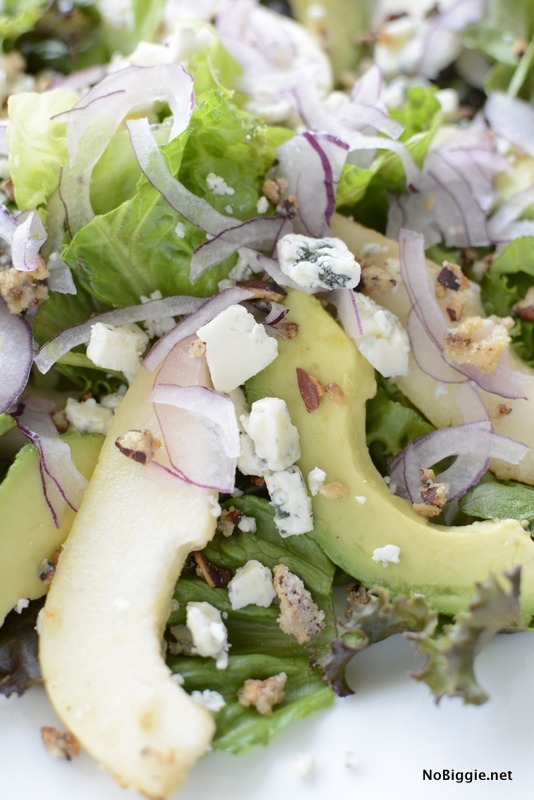 After a title like: gorgonzola pear salad with candied pecans, you know this is going to be a good salad. If you’re trying to make better food choices this year, this salad is a great way to eat better without giving up any flavor. The one thing you might need to omit are the candied pecans if you’re on a health kick, but you could still toast the pecans. 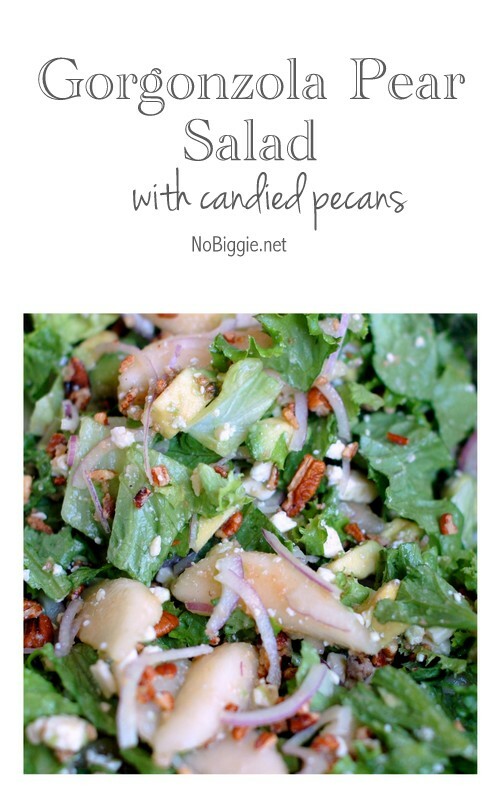 Either way…this salad is sooo good! This recipe is a family favorite. Here’s the ingredient lineup…a little visual for your grocery shopping. 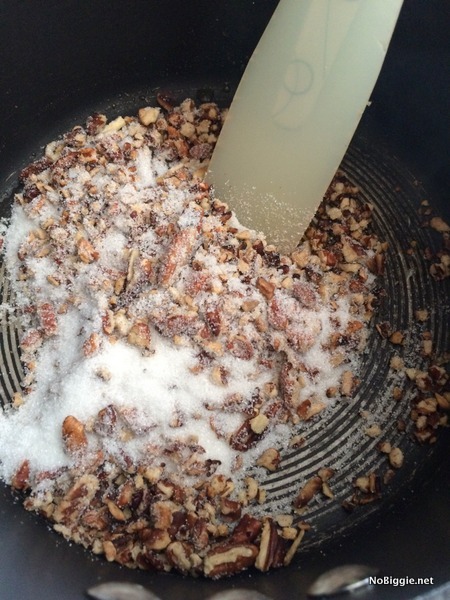 Have you ever made toasted candied pecans before? They’re so good! We eat them like candy around here. For the candied pecans, you just place the pecans in a hot pan on high heat (no liquid) and you have to stay with them, constantly turning them around (now is not the time to walk away…they can burn easily). Once you start to smell the pecans (the aroma is amazing), then you add the 1/4 cup sugar. Constantly stirring once again. Watch the sugar turn to a liquid state and toss the pecans all around in the syrupy goodness, until they’re all coated. Then remove pecans from the hot pan and let them cool. Keep them at room temp and add them into the salad at the very end, just right before tossing the salad all together. 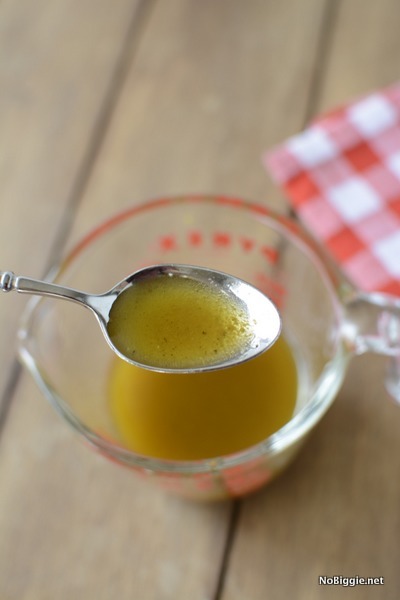 I love making salad dressings from scratch, because you don’t need to guess what’s in it, and you don’t need to worry about added preservatives. You can do liquid mustard for this or dry mustard. I’ve tried both types, and both work. Here’s the lineup of prepped and ready to toss ingredients. It’s such a colorful salad. Just toss with your homemade vinaigrette! It’s so delish! 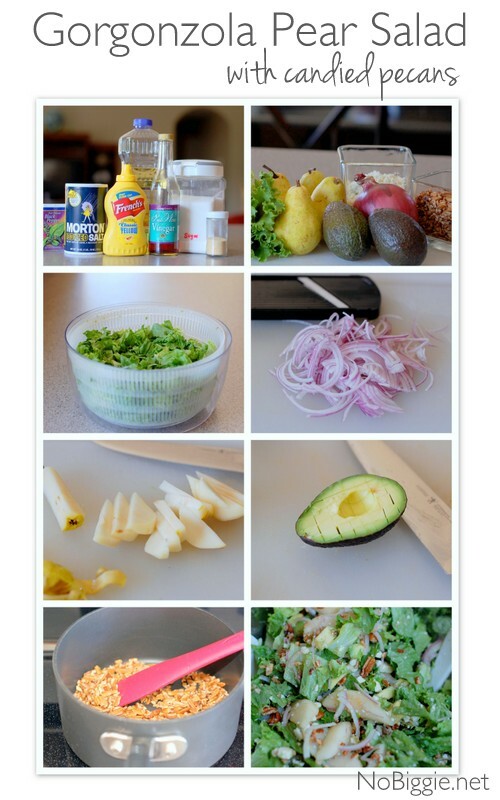 You can make this salad (without the dressing) ahead of time (maybe a few hours) I would not refrigerate the dressing. Toss everything together just right before serving, and enjoy! 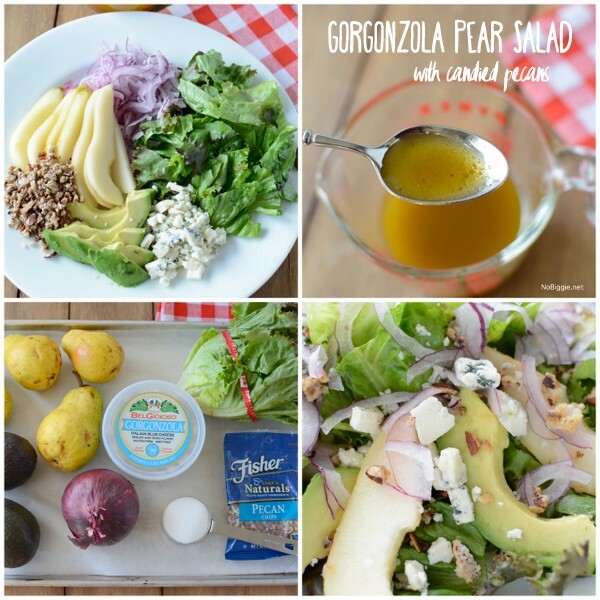 Gorgonzola pear salad with candied pecans is a meal in itself. This is a family favorite recipe. Start by making the toasted candied pecans: place the pecans in a hot pan on high heat (no liquid). You have to stay with them, constantly turning them around. Once you start to smell the pecans (the aroma is amazing) you can turn the heat off, but leave the pan on the hot burner. Now add the 1/4 cup sugar. Constantly stirring once again. Watch the sugar turn to a liquid state and toss the pecans all around in the syrupy goodness, until they're all coated. Then remove them from the hot pan to let them cool. Keep them at room temp and add them into the salad at the very end, just right before tossing the salad all together. 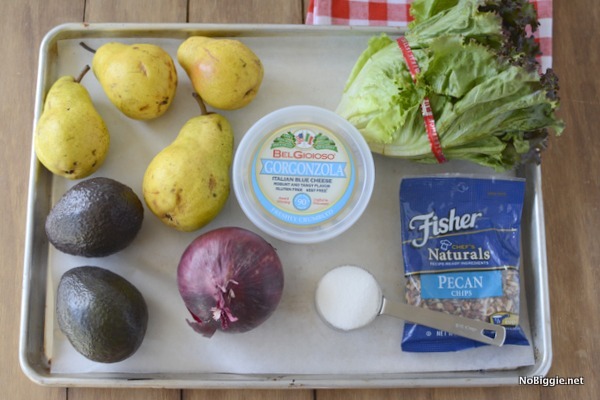 Prep all the fruits and vegetables: peel and slice the pears, avocado and onion. Chop, wash and dry the red leaf lettuce. Right before serving toss all prepped ingredients together, give the homemade dressing a good shake to mix it up and toss the salad with dressing. Serve. You had me at gorgonzola. Can't wait to try this! this will be on the mid-week menu asap. I'm thinking that is one tasty salad. I can't wait to try out that dressing! Mmmm having this for dinner tonight! That looks absolutely divine!! 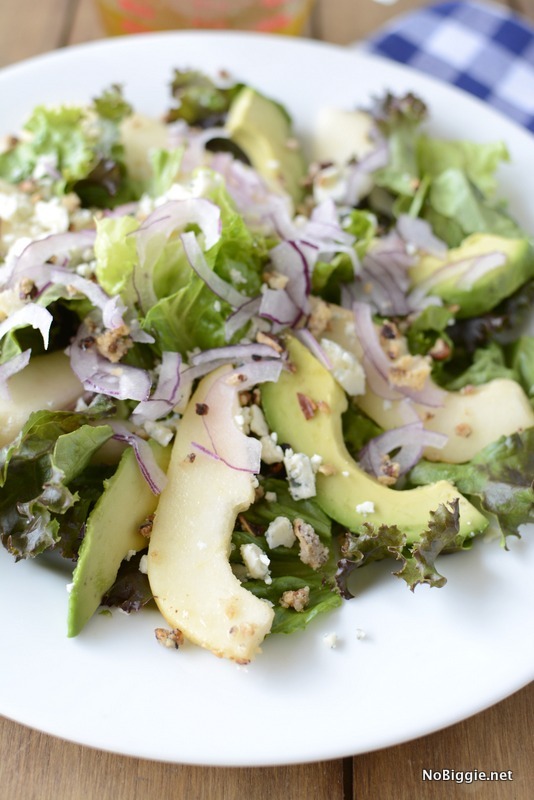 As soon as my moms pears are ready…I'll be back to make this. You lost me at gorgonzola. My mouth is watering! Love all of your pictures. You do such a great job photographing food…and everything else! i have a recipe very similar.. only almonds instead of pecans. divine. whoa that looks super yummy. must try it. thanks, i'm always up for a new yummy salad recipe! even BETTER than pioneer woman! fo real. megan saw this earlier and mentioned she was gonna make it for sunday dinner. which i'm all over. because that means i get to eat something that my own two hands did not prepare. You really have a knack for making good things even better! A version of this is one of my favorites! 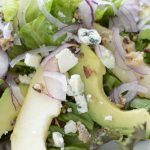 In fact, I CRAVED salad with gorgonzola and red onions during my first pregnancy! Occasionally, if we had them, I'd throw in the avocado. But the pear? Something I've never tried, and it's genius and so flavorful, I can't wait to try it! We also do nuts in most salads, but I've never candied them. See? You've just got that extra oomph. That's why your blog is so fun. Mmm. I think I will love this. Thanks for the recipe! I found your site last night while googling Gorgonzola & Pear Salad recipes. I made it for my Mom’s 73rd birthday last night, including the candied pecans and it was a hit. Thanks!!!! I made this Friday night(sans onions) and my friend loved it! I had ordered some Harry & David pears and was looking for a great recipe to showcase the pears. This was wonderful and I’ll be making it again. I am thinking about making this for Thanksgiving….how many servings does the recipe make? 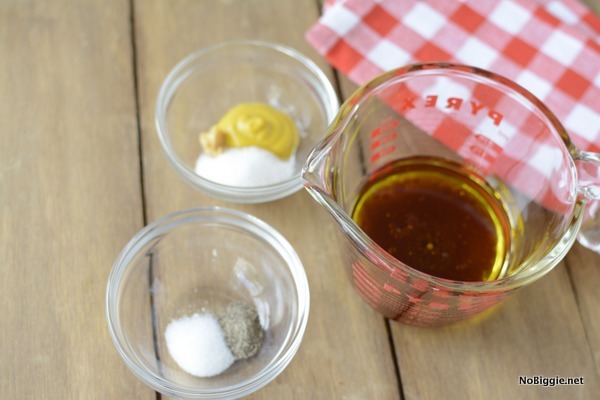 Also for the dressing do u use regular mustard or mustard powder? Hi There! I use regular mustard. I’m not exactly sure on how many servings…but to be safe, let’s say 12. Looks so delicious! I am so making this!! !